*Johanna* is worked diagonally from one point to the other. Stripes of eyelet columns against stockinette background alternate with stripes of ornamental motifs. 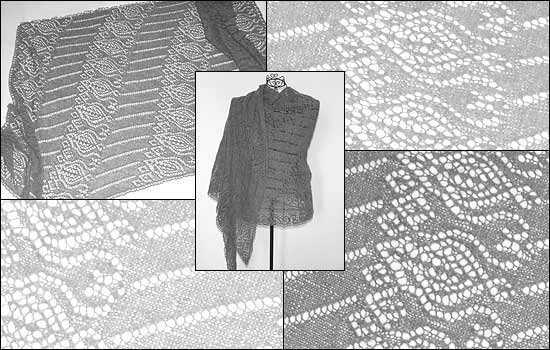 *Johanna* is one of the 12 patterns included in the » ebook *TuecherRausch*.